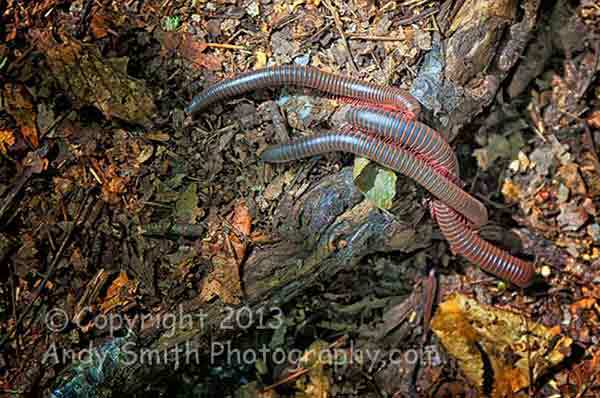 Three Millipedes on the Appalachian Trail in New Jersey. This species, Narceus americanus-annularis-complex, is the largest North American millipede, growing up to 10 centimeters long. It lives among the forest leaves and rotting logs. This image won First Place in natural history and Best of Show in the 2012 annual photography contest of the Delaware Valley Ornithological Society.